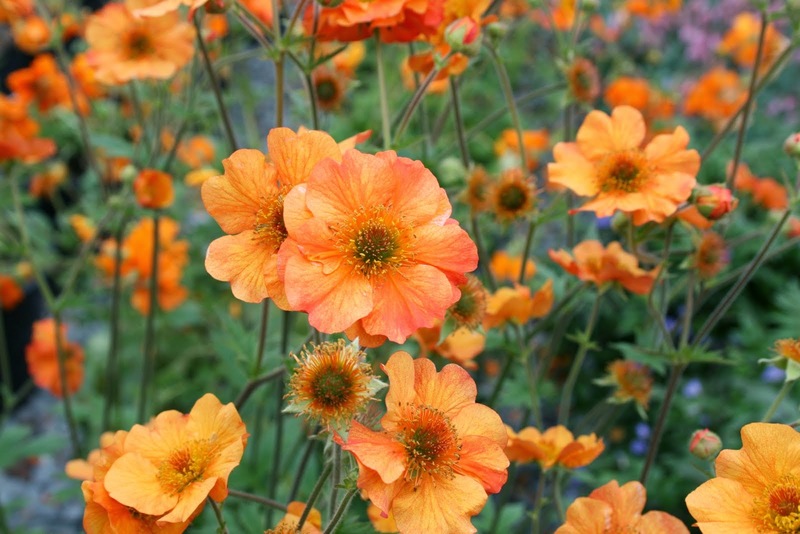 Focus on Geums- my must have flower this season. 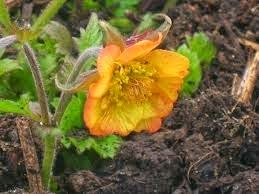 Vintage looking - British native Geums (water avens) are my must grow choice this year . Perfectly pretty for the lower sections of my herbaceous borders against our the west facing Cob wall in shade for good parts of the day, warm and sunny in the afternoons. Strong and easy to grow, they will benefit from splitting in the autumn. fading to delightful soft creamy pink, forming the most attractive fluffy seed heads when finished flowering. In earlier days the roots were not only used medicinally, but to flavour ale, and put among the linen to protect from moths and impart a pleasant odour. 'It is a wholesome heathful herb. 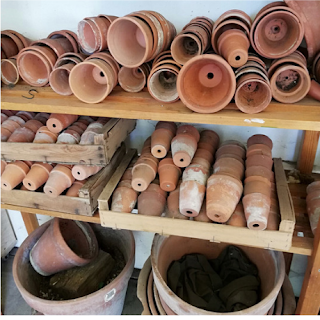 Good for diseases of the chest and breath, pains and stitches in the sides. It dissolveth inward congealed blood occasioned by falls and bruises and the spitting of blood. Roots either green or dried boiled in wine and drink. In spring-time steeped in wine gives delicate flavour and taste and drunk on fasting every morning comforteth the heart and is a good preservative against the plague and other poisons. It is very safe and is fit to be kept is everybodys house'. 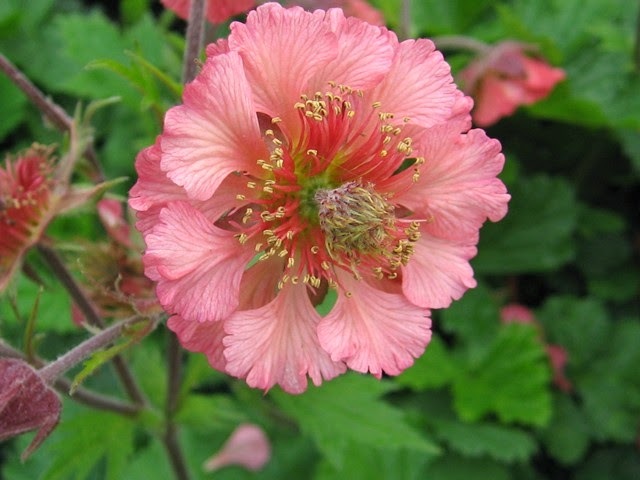 Visit the National Collection of Geums at Brickwall Nursery, Frittenden, Kent.